Ellen Brooks-Pollock: Tuberculosis - the family disease? Yoan Eynaud: Modelling the mesopelagic ecosystem: how far details are important ? 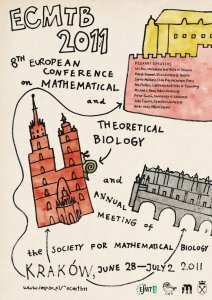 Krzysztof Argasinski: In which currency are paid payoffs in evolutionary games? Geoffry Mercer: Did seasonal influenza vaccination increase the risk of pandemic influenza infection? Chloe Gerin: When do a low-grade glioma appear ? Eunjung Kim: Getting old and misbehaving: Can stromal aging drive melanoma initiation? Jean-Christophe Poggiale: A spatially extended trophic chain model with recycling : how spatial structure determines the matter cycle? Dariusz Wrzosek: Do the aggregating cells attain a tight packing state? Kristan Schneider: Can dominance prevent the evolution of assortative mating and sympatric speciation? Stephen Proulx: Evolutionary responses to migration load: A tall fence or a melting pot? Harold Layton: Countercurrent Multiplication in the Kidney: Is it Real? Fátima Drubi Vega: Do bacteria form spores as a bet-hedging strategy in stochastic environments? Sebastian Gerdes: Can Polyclonality prevent the outbreak of leukemia? 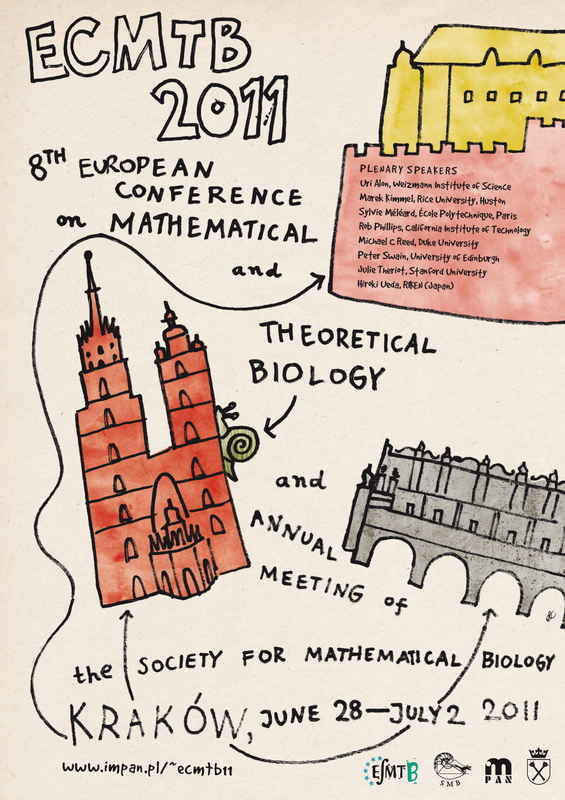 Shigeru Kondo: How experiment and mathematics can cooperate in the study of Turing patterns of real biological systems? Konstantin Avilov: Case detection rate: what can be estimated without prevalence surveys? Torbjörn Lundh: Invariances of cross- and trippel-ratios of human limbs? Eduardo Massad: Why dengue and yellow fever coexist in some areas of the world and not in others? Martin Falcke: How does single channel behavior cause cellular Ca2+ spiking? Romulus Breban: Health newscasts for increasing influenza vaccination coverage: How much is too much?